A menu inspired by fresh food ingredients is the first step in creating an amazing dinner party, but presentation is equally important. This month, Diana Mancuso and Anjum Choudhry Nayyar (PGMoms) had the opportunity to meet with Chef Michael Smith to learn about how to make an event truly sparkle- with the help of Cascade! 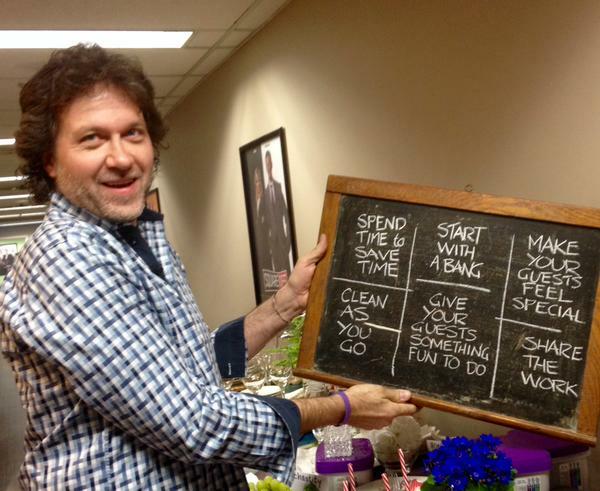 Have a mess to clean up? No worries! Use Cascade Platinum to make your dishes really sparkle. One wash and no pre-rinsing! CASCADE PLATINUM PACS powers through tough messes in just 1 wash — without the prewash. Cascade Platinum’s powerful formula means you can skip the sink. ActionPacs™ with the grease-fighting power of Dawn®. Rinse aid action with Shine Shield™ formula rinses away residue and leaves brilliant shine. *vs. the leading gel after 15 cycles in hard-water lab test. 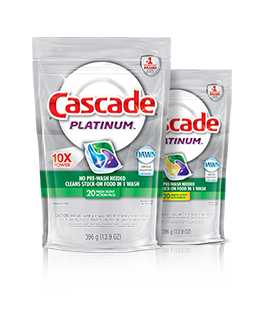 We love CASCADE PLATINUM PACS in our home and only trust our dishes to them!